One day you’re going along fine. You rise. You work. You take a walk. The sun dims as dinner comes together. You don’t even notice your health. Stomach feels fine. Head is pain free. Body only aches in the normal places. This was me, until it suddenly wasn’t me anymore. Last week I was blindsided by an illness. I can say blindsided because it came on so smooth. Day 1 wasn’t so bad. 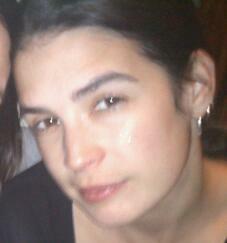 Tired. Runny nose. Scratchy throat. A swollen gland here and there. Day 2, more of the same, but I was feeling better. A quick mend seemed right around the corner. I didn’t see Day 3 coming. Oh, no… not Day 3. Suddenly I found myself plastered to the couch (if not the bathroom floor), hungry but unable to eat. Thirsty but unable to consume water. All that was left were my unfocused thoughts and a handful of terrible movies to watch. I was reminded of my dog, Jake. When he was dying of cancer, he consumed rocks and dirt to try to feel better. It never helped. Like him, I tried anything that seemed like a good idea. Nothing worked. The one thing – the only that always helps – was a call to my mom, Jinny, for guidance on what I should be doing. It is good to have people to call on when you are at your tiniest. The body rules everything when you’re sick. There are no more daily goals. No exercise. No visits with friends. It’s just you and the realization that your body is driving. When you are not well – life stops. In those dark moments, I remember the good health I so frivolously enjoyed and wonder if it will ever return? Then – the illness broke. I left my bed early and walked onto the porch. None of my neighbors were out. The sun was warm. The bird chirps were rich like forgotten companions. 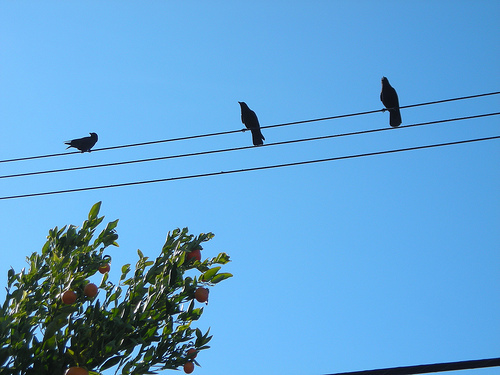 Three crows sat silently on a wire, taking in the day. Not one car went by. Not a plane or a bike. No one mowed the lawn or took children to the park. I was in the city as silent as it had ever been, feeling like I was a person newly created. As if I’d opened the door to a brighter, fresher world. This is what I want for my father. Katy, Your words moved me to tears. We all wish that for your father and will continue to pray for that outcome! !